Remember how I started yesterday off with my burst of positivity and a goal to have a great Monday? Well, I failed. Just because I say something on here, doesn’t mean I’m going to do it perfectly. Caitlin and I have been discussing the quote, “Do as I say, not as I do,” a lot lately. I may have good intentions for something, but life gets in the way and my plans get messed up. I really just want to put yesterday behind me and move on from that. Don’t even want to talk about it. Today will be better. I have a much shorter schedule, so that’s already a plus! I will say that yesterday was a swift reality check for me. It gave me a push in the direction of what I don’t want to do with my life. I was very unhappy all day because of that realization and made some bad decisions on account of my mood. It’s hard for me to remember that every moment is a new opportunity and I don’t need to wait until tomorrow to start over and make things better. Anyone know of a tattoo that incorporates that? I feel like I need to get it right on the top of my hand. Not even joking. Well, kinda. I think one of my biggest issues I’m facing right now is living at home in my parents house. I love my family to death. They’re fantastic. However, I feel like now that I’m a college graduate trying to start my own life, it’s really just setting me back living here. I know it’s helping financially, but I’m starting to be at that point where I know I need to take the leap and get a place away from them. I know that I will be more productive and positive in my own place. It’s gotta happen. You guys know how stressful it is to move out. All the responsibilities that come with it, the financial obligations, etc. I lived on my own while in college, but this is different. This is the real world. Just something I’ve been thinking about a lot lately. Moving on! Nope. I have been pulled over my fair share of times though. And I used to work for a police station in college so I’ve definitely ridden in a few cop cars as well. I do not ride roller coasters at all. I am absolutely terrified. I think the only person I would get on a roller coaster for is Ellen DeGeneres or to save one of my future children. Probably back in college. It was different when I was young with a bunch of other people like me and had some alcohol in my system. Now it’s just cold and wet. Once again, I do not. Not at all. I like consistency and the same thing over and over. I should really develop a creative side though. I could probably benefit from that. I cringe whenever the kiddies want me to do a craft with them, because I will definitely not be able to do it up to their ridiculously high standards. 7. Do you think you lead an active lifestyle? Yes, I do. When I’m home I am usually lazy as all get-out, but I’m literally running around all day long when I’m gone. Add on exercising 6 days a week and I’m pooped! Jennifer Aniston. Biggest girl-crush on her ever. Definitely had the “Rachel” hairstyle back in the day. Nope. It’s about time I learn though, yeah? Not a clue in the world. I rock at blackjack though. No way! I can barely get through my days without a nap. 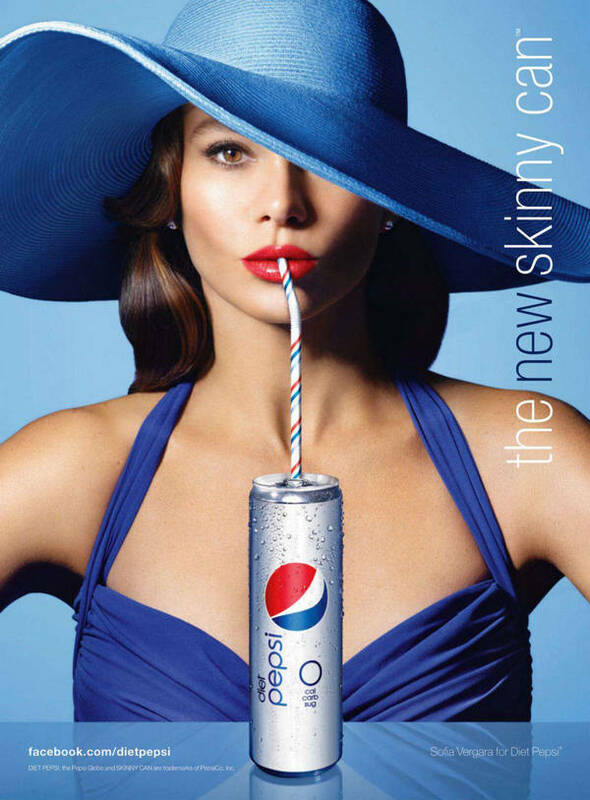 I like the new Sofia Vergara diet pepsi ones. Mainly just because I think she’s gorgeous. 14. If you’re driving in the middle of the night, and no one is around you, do you run a red light? No! I’m way too much of a chicken for that. Not really a fan of either, but Luke has definitely got me into hockey in recent years. I truly enjoy going to games with him. I have! I used to take lessons when I was younger, but just go occasionally with Luke now. He’s amazing from all his years of hockey. I make a fool out of myself. Almost never. I remember bits and pieces sometimes, but never big details. 19. What’s the one thing on your mind? I am really pissed at Desiree’s brother on The Bachelor right now. Yes I do. I know of way too many people who have been in accidents without their seatbelts and had very sad results. I wish I could sing. I am SO bad. Like, you don’t even know how bad. I do not. Maybe I’ve just never tried a good kind, but the only kind I’ve ever had made me gag. Huge sweatpants and a huge t-shirt. Am I really about to say this on the internet? Channing Tatum. Luke and I made our “lists” once before. That was a hilarious conversation. Made fun of, no. Talked about, sad to say yes. No way! These are some crazy questions. 30. Do you believe in love at first sight? I do not. I think you need to get to know someone first. Well today started out pretty crappy. I hit snooze on my alarm 3 times (that is unheard of for me!) and literally rolled out of bed to complete a 10 minute toning routine, which was all I ended up having time for. Then I went downstairs and was reprimanded for my ‘attitude’ when I hadn’t even uttered a word. Hmmm. Instead of freaking out about it like I usually would, I decided to avert the situation and turn my day around when I had the chance. So wanna know what I did? It’s funny how something so small can make such a big impact on your day. The 2 year old I nanny for, Francesca, had a little ballet class this morning (AW!) and I was just ravenous while waiting in the lobby. Lucky for me they are starting to put ‘healthy vending machines’ in most buildings where I live now. Score. I got some cheddar potato pop chips which were super yum and only 100 calories. Can’t beat it! The rest of my day was spent playing with the girls, which really just means chasing them around and watching Disney Channel and occasionally having a snack. Oh, the life of a child. I need a little bit of advice though from anyone out there with kiddies. Francesca always wants to be held, and since I’m a righty I automatically put her on my right hip. It’s uncomfortable and weird to switch her to the left for both her and I. My right shoulder is starting to kill me and pop all the time. Any advice?? My afternoon workout was a half hour walk on the treadmill at the gym at 4.4 speed and 6.0 incline while watching Walking Dead on my iPad and a jazzercise class. I was feeling the burn, so I came home and just finished about 15 more minutes of toning routines while watching my beloved Pretty Little Liars. Does anyone else watch this show?? So freaking obsessed. Who is A!?!?!? I can’t stand it; this show is such a tease. Mine’s gotta be those little watermelon sour gummy things. Sorry!